1921: Adjustment to the boundary with Grayshott Civil parish; Ecclesiastical boundary remained as set when Grayshott was originally split from Headley in 1901. Note that 'Fairlands' and the new Woodland Burial Site are in All Saints parish, not St Luke's Grayshott. 1929: When the Civil parish of Whitehill & Bordon was created to include Lindford, the Ecclesiastical boundary didn't change. Lindford remains in All Saints parish. 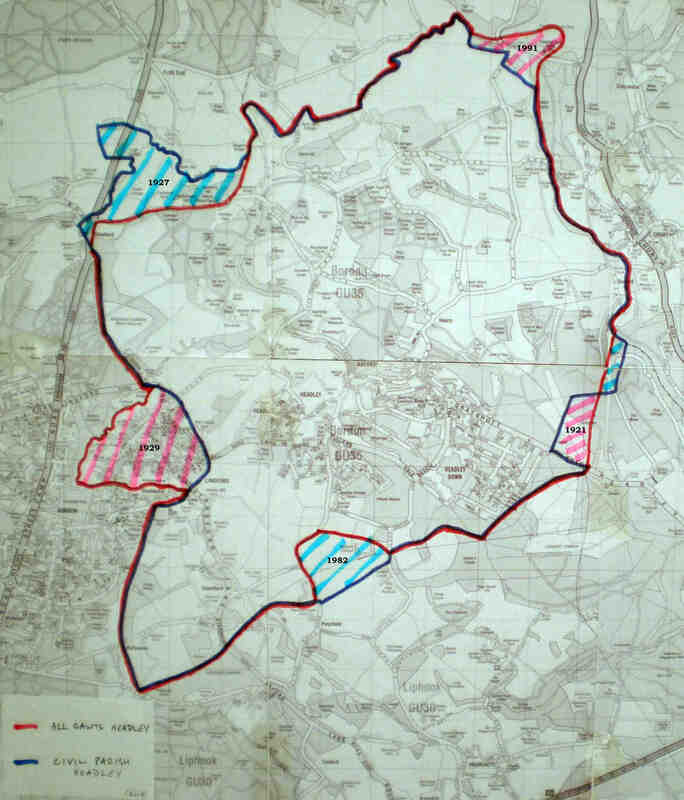 1991: When it was decided to put all of Frensham Great Pont into the bounds of a single civil authority, the Ecclesiastical boundary didn't change. Frensham Pond Hotel remains in All Saints parish.